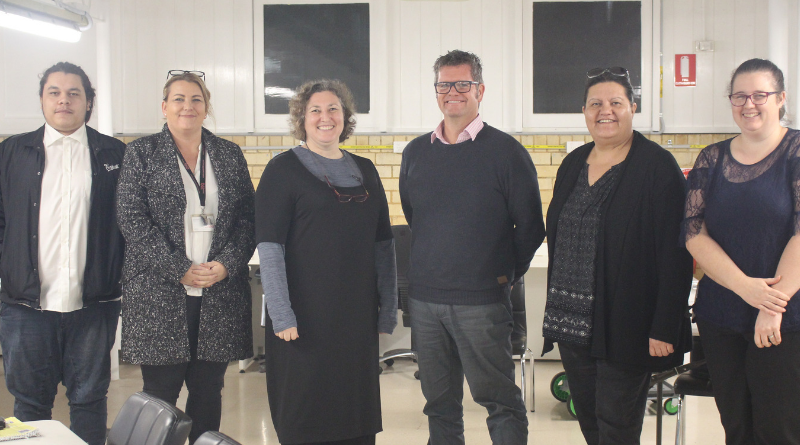 A recent event held at Multiplex’s Westmead Connectivity Centre discussed how to remove barriers faced by Aboriginal job seekers. Job seekers and employment agencies were invited to attend the first of many events planned by the Westmead Redevelopment project and Western Sydney Local Health District (WSLHD) to assist in improving access to job opportunities for Aboriginal people. WSLHD Aboriginal workforce co-ordinator Wendy Bryan-Clothier said the employment agency representatives and hiring managers who came to the event showed a commitment to connecting Aboriginal job seekers with exciting jobs and careers. “We discussed practical strategies to tap into the many jobs and existing programs at Westmead and across greater western Sydney,” she said. Wendy said this, and future events, would inform WSLHD recruitment plans and help find new ways to connect candidates to positions created as a direct result of the major redevelopments at Westmead, Blacktown and Mount Druitt hospitals. “The LHD’s Work Out West campaign is proof of the diversity of jobs available right now. I urge Aboriginal job seekers to check out the many positions available on the Westmead Redevelopment and BMDH expansion webpages,” Wendy said. Westmead Redevelopment project director Carla Edwards said Multiplex’s Westmead Connectivity Centre was the perfect place to hold these type of events. “The connectivity centre is already helping to connect Aboriginal job seekers to a range of job and training opportunities, including construction jobs on the new hospital building,” she said. Job vacancies are regularly posted on the Westmead Redevelopment and Blacktown and Mount Druitt Hospital expansion project websites.Aboriginal job seekers may wish to also contact the WSLHD Aboriginal health unit, which can provide advice and support to potential and existing Aboriginal staff. Read more about the Westmead Redevelopment project. Visit the Westmead Connectivity Centre website. Read more about the new hospital building. Find out about the Aboriginal and Torres Strait Islander Legacy Strategy and Action Plan. Visit the Work Out West jobs page for latest vacancies and resources for job seekers. Visit the WSLHD Jobs page. Visit the NSW Health Stepping Up website with sections for Aboriginal and Torres Strait Islander Job Seekers and for NSW health service hiring managers.